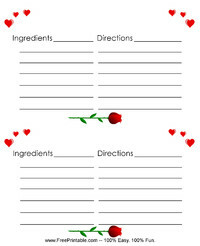 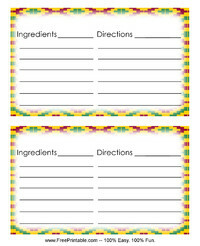 Search our wide selection of printable recipe cards. 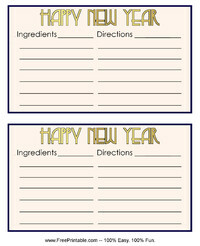 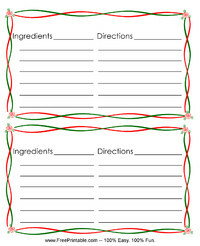 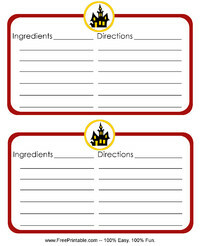 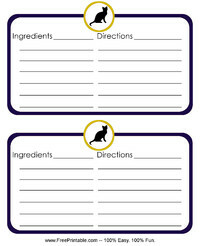 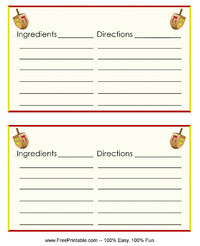 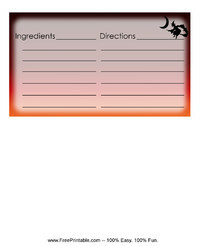 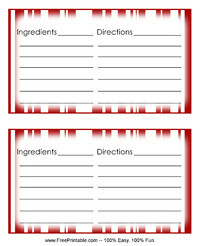 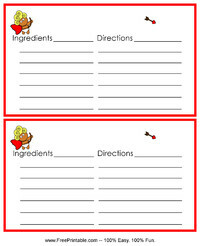 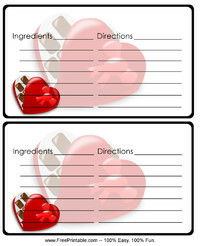 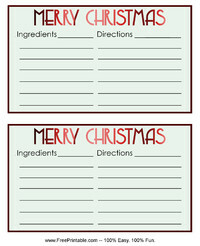 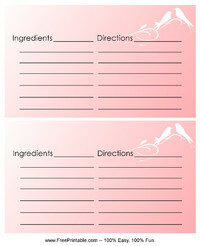 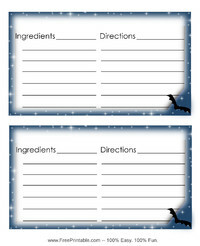 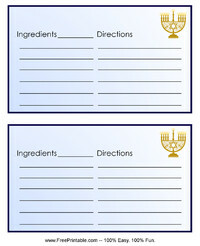 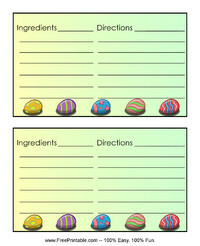 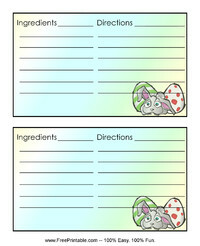 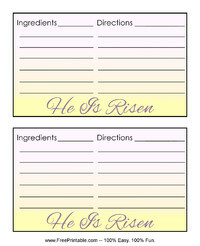 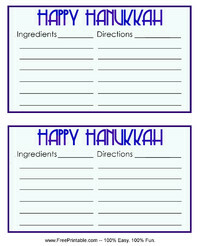 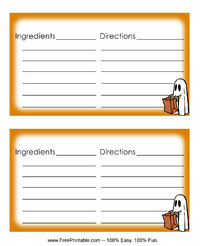 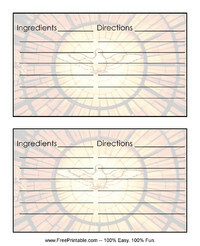 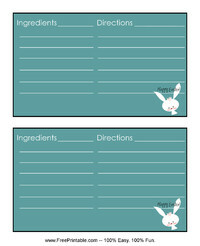 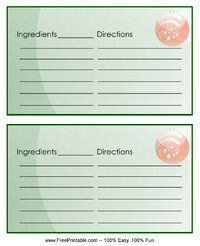 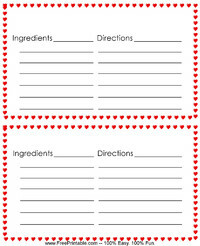 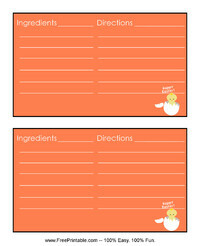 Choose from the wide range of blank printable recipe cards that we have. 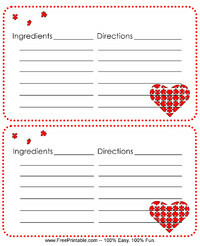 Print and have fun personalizing these to make them distinctly your own. 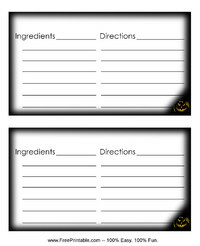 Organize your best kept recipe secrets when you use these recipe cards.Maybe you have some traditional recipes which you would like to write down and use regularly. 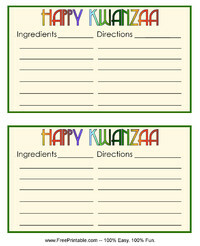 These cards are perfect for that purpose. 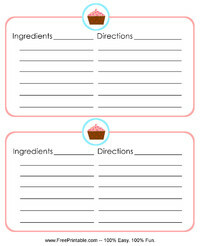 Get organized and keep your recipes all in one place, today. 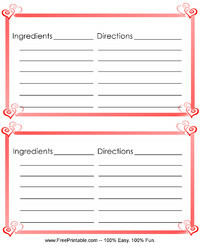 Do you have a lot of recipes that you have scattered around in various notebooks and cookbooks? 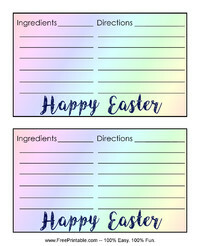 Whether you already do, or you are inventing new ones all of the time, these printable recipe cards are just the thing for you to incorporate into your kitchen. 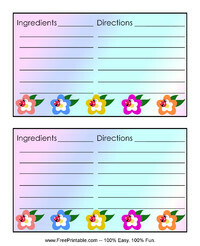 Keep them organized in a handy folder or small box, and have them close at hand for you to grab when ever you would like to use them. 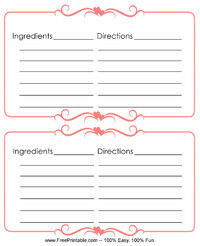 They will make your life easier, and they are a lot more convenient than having everything all over the place. 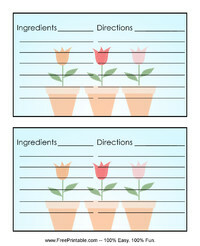 It does not matter if you just experiment with cooking, or you consider yourself to be an expert. 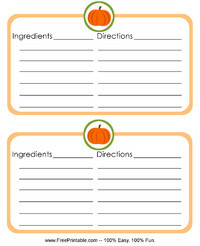 Everyone needs a bit of organization in their lives, especially when it comes to their kitchens. 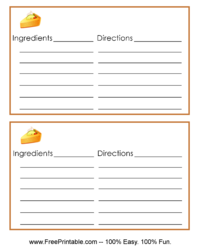 Printable recipe cards are great, because they allow you to put down all of the recipes you have created and the ones that have been passed down. 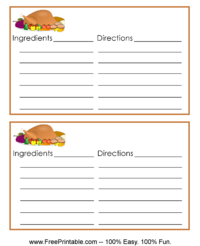 Even if you know them by heart, you likely want to share these printable recipe cards with your family, so that they can pass the recipes on to their children and grandchildren, and so on. 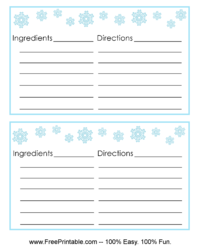 The best thing about our website is that we do not charge for anything, so print all of the printable recipe cards that you would like.